All photos on this post were taken by Anete on her 35mm film camera. 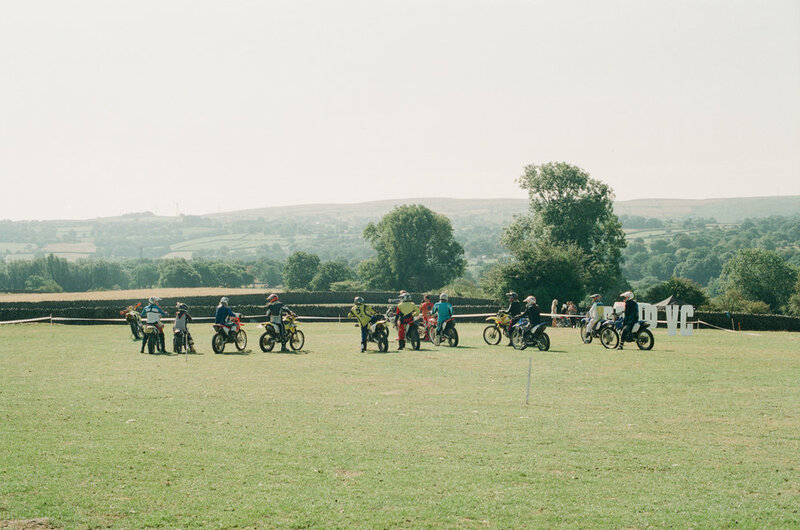 Camp VC is a ‘women only motorcycle, outdoor & adventure festival’ set near the Brecon Beacons National Park in South Wales for one weekend in August. If you’re a bit like us and your main rides currently sit somewhere between Megabus and National Express, don’t worry, you don’t need to own a bike or even know how to ride one before coming down. There are beginner classes for those who have never even stepped on a bike before and by the end of the weekend you’ll most likely know the basics and be inspired to take on the road by yourself. At the beginners moto classes we found out where the main control parts are on the bike, took it for a little (at first, pretty shaky) spin and learned to pick up speed and change gears. It was fascinating to realise how much you can learn in just one hour, and, even more so, grow your own confidence on handling the bike, with the help of the good people of Greenfield Dirt Track and Leah Tokelove. By the end of it, we did not want to get off and were already plotting some motorbike adventures. We got to see film screenings and hear from rad women taking on challenges involving mountain climbing, wild swimming, paddle boarding and surfing, each of them with their own interesting approach and unique and empowering story. We also got to participate in an adventure filmmaking workshop with the women behind Shextreme, the world’s first film festival celebrating women in extreme sports and adventure. We learned a lot about crafting a good story and some cinematography tips and tricks. Another one on the list of things we did for the first time at the camp was an outdoor yoga class, a much needed winding down moment to balance all the buzzing from the other activities. The setting was great: being on top of a hill in South Wales was no regular yoga experience, and the way the session was conducted also helped us to get more into it. Ride Yoga offers a different take on traditional yoga, tailored for those who have been riding or skating all day, focusing on specific muscle groups and targeting areas that are prone to injury. It’s perfect for stretching out your sore body after a full day of activities and improving overall strength and flexibility. This was an action packed weekend and we didn’t even get to do every single thing available on the schedule. In addition to the classes, workshops and screenings, VC Camp really know how to throw a party, featuring disco bingo, a skate ramp, free beer all weekend and live music. And if you want some chill time, you can just grab a bean bag and play some Mario Kart. 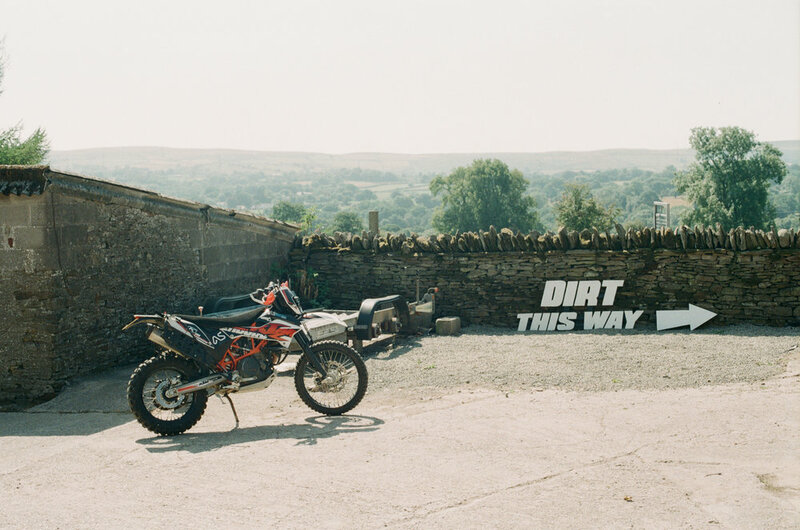 Riding a motorbike is something we had been talking about and wanting to do for a while but didn’t really know where and how to start until we found out about the VC London team and the camp. Safe to say, we brought home something more than just great memories. Seeing so many rad women inspiring and supporting others was so encouraging and made us even more determined to carve our own path and achieve great things on our own terms. Fearlessness is a muscle that need stretching and constant work on. Breaking out of your comfort zone is the first step. We salute the ladies organising this now annual event that proved to us that it’s ok to be nervous to to try things for the first time, as long as you have supporting people around who can give you the relevant tools, skills and knowledge. If you’ve missed out this time, don’t worry - there’s always next year. Tickets were launched in April, which might be the case next year as well, and it’s a guaranteed sell out so keep an eye on Camp VC website and join the mailing list for updates.